Tom Ford has admitted that his choice of venue was probably to blame for the mixed reviews his autumn/winter 2013 collection received. The designer's autumn/winter 2013 show in February saw him return to the traditional catwalk format for the first time since he was creative director of Gucci. 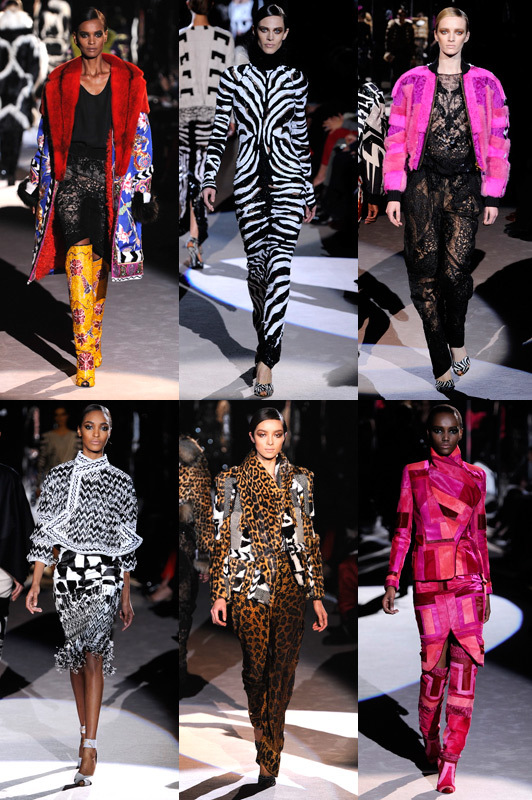 Consisting of clashing prints and colours, evening gowns garnished with sequinned, comic book-style blasts and "cross cultural multi ethnic" references, many were surprised by the departure from Ford's usually slick, sexily understated aesthetic. "I expected a more positive reaction in a stronger way. And what I got was a sort of stunned reaction. I couldn't read [it] when people started to come backstage - what they thought. But that simple fact was proof of not getting the reaction that I thought I was going to get," Ford told WWD , before going on to admit that the reviews were "lukewarm". So, what did he do wrong? "I think that I chose the venue inappropriately." Said venue was Lancaster House, a mansion in London's plush St James area. Not content with its extravagant, gilded rooms that Queen Victoria was allegedly "jealous" of, Ford lined the sweeping staircase with 75 devastatingly handsome, perfectly-groomed male models all in matching Ford suits with matching haircuts. He also had dapper waiters serving Champagne, as well as ushers - and liberally spritzed all of them in his Noir fragrance.